Easy On Earth Pest Control™ gets rid of your pest control problems in the Eastern Suburbs in an effective and safe manner, at an affordable price and using green products? We understand the importance of your families health and how annoying pests can become, simply by destroying valuable equipment, transmitting diseases, and contaminating your home or business in Eastern Suburbs. At Easy On Earth Pest Control™ we only use the minimum amount of products necessary to fix a pest problem in Eastern Suburbs. More definitely is not always better and we understand this one major fact. 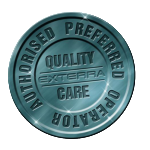 We have spent many hours investigating every type of treatments that are available. That’s why we train our pest control technicians to diagnose based on the biology of the insect and environmental factors around your property in Eastern Suburbs. In our findings of our investigation, we believe that quick fixes are not an effective pest control solution. We believe going deep in to the nature of the pest control problems and coming up with the best non-toxic solution programme is. We warranty the result of our pest control treatment and pest control services because we focus on the cycle of the insect. We eliminate their food, water and shelter, which eliminates the pest problems in Eastern Suburbs. These pest control services are carried out without the need of toxic generic chemicals that kills everything in your home, even your family’s health. That is why all our pest control services are designed with children, pets and respiratory conditions in mind. At Easy On Earth Pest Control™, we exhaust every avenue to be eco-friendly before the thought of using chemicals and give you helpful advice that will help you to prevent pests coming into your home in the first place. On the completion of each pest control service, we advise you on cleaning procedures and explain the techniques and products used. Not only that, we also give you a pest control report that will help you to keep annoying pests away from your home. Working together with you to ensure we achieve your expected outcomes.